By now all your tropical trees should be snugly indoors. Insure that they are getting enough light. Provide humidity. Fertilize once monthly and be on the alert as to not over water. The toothpick (chop stick in Japan) method or a moisture meter is helpful in this regard. Keep an eye out for pests and/or diseases. Tropicals give us a chance to enjoy bonsai while our other bonsai are sleeping the winter away in their winter quarters. Display some of your tropicals during the holidays. 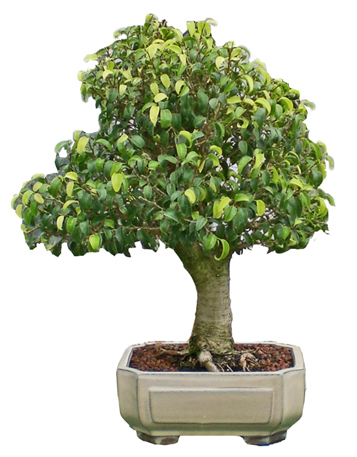 If you do not have any tropical bonsai to enjoy during the cold, snowy winter months, now may be a good time to try one or two.